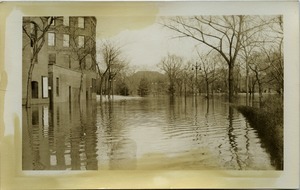 Hartford (Conn.) - From a series of images of the great Connecticut River flood of 1936. 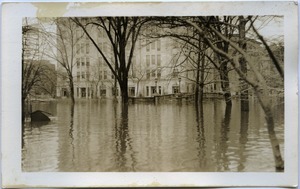 Most images were possibly taken by Oliver W. Means and printed as real-photo postcards, however at least one appears to have been purchased. West Brookfield (Mass.) 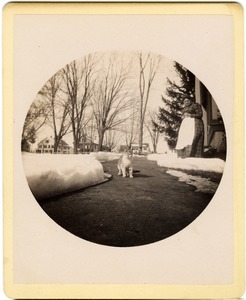 - Kodak #2 image of middle-aged woman, seated with cat in her arms; West Brookfield Common visible in background. Worcester (Mass.) 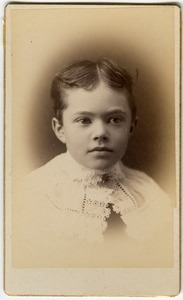 - Half-length studio portrait of toddler, seated. West Brookfield (Mass.) 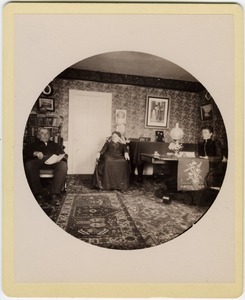 - Kodak #2 image of family seated in their parlor, decorated to high Victorian taste. West Brookfield (Mass.) 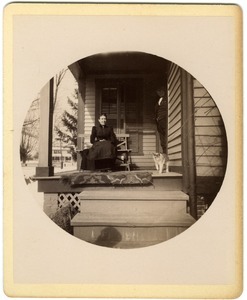 - Kodak #2 image of Annie seated on the porch of her home, father lurking in the doorway, and cat walking toward the camera. Brookfield (Mass.) 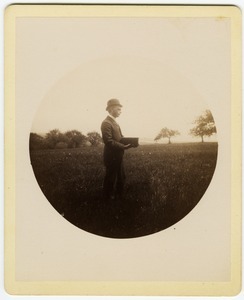 - Kodak #2 image of Blanchard in bowler hat, with early model Kodak camera. Brookfield (Mass.) 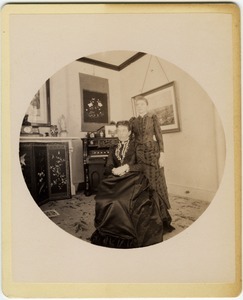 - Kodak #2 image of mother and daughter, pump organ in background..
West Brookfield (Mass.) 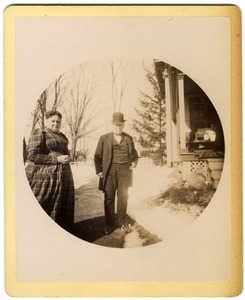 - Kodak #2 image of middle-aged couple standing on path next to their home, in snow; West Brookfield Common visible in background. West Brookfield (Mass.) 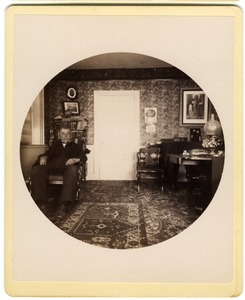 - Kodak #2 image of Brown seated in his parlor.